Online sharing is the sharing of a variety of material including photos, blogs, videos, articles, documents, software, forums, databases, news, interviews, careers, knowledge and much more via the World Wide Web i.e. the Internet. Sharing of these things electronically means that instead of going through all the paperwork and searching in piles of books and library archives like a book worm (Gosh! It can be so time consuming), we can easily access the shared data on the Internet. Different websites offer different services for each category. ‘Online Publication is ‘a collection of web page, images and videos used to make content publicly known’. In simple words, it is the performance or displaying of a work at a place which is open to the public by sale, rent, and lease or lending. This may include publishing of e-books, academic journals, magazines, newspapers, business reviews, message boards, Real-time stock market data etc. and this is a just a limited scope of examples on online publishing. There are many more different types of online publications. Through this technique, publishers can manage and control the marketing of their product and thus increase its usage on a huge scale. Statistics point out that publishers can gain more profits by selling books online than they normally do through traditional publishing. How is online sharing and publishing done? A really easy task, even a 10 year old could perform it when he or she is asked to do so. Any file which may include your thoughts, photos, videos, music; media which you want to share with the online world (so that it can get acquainted with what type of a personality you possess) can be uploaded from the upload tab of the website providing the service. 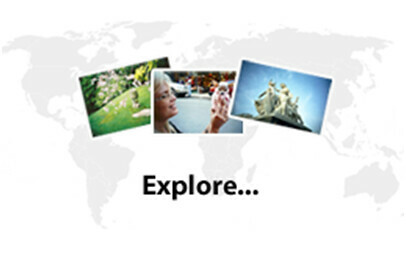 What could be simpler than having your creativity wander around the world with just a click away! Similarly, you can download ideas, music, videos and photos of other people, by simply clicking on the download tab of the service web page. Could it be any harder!!! Online publishing occurs in a similar way. The only difference comes in the case when you have to assign an International Standard Serial Number (ISSN) for the identification of a serial publication (especially in the case of online journals and academic publications). Then they are certain software like the pubStudio suite of software applications which help in distributing your documents on the web. In providing editorial or data prep services, you can add pubStudio to your list of resources. Moreover articles can be uploaded on various online newspapers. Online services like Esnips and Scribd can turn your world into a ‘trick-or-treat’ bag of candies by offering user-friendly services to such an extent that you can get everything in one place. Esnips, is an Israeli based social content-sharing website, where you can publish and share any media type. It provides a very useful and appealing service for anyone interested in file sharing. You have practically boundless flexibility in choosing what you want to share, and with whom, in 5GB of free space (pretty convenient huh!). It is a hub where you can create folders for each of your passions and interests (for example distinct folders for videos, photos and music), decide what each folder must contain and even control who can view your folders online. 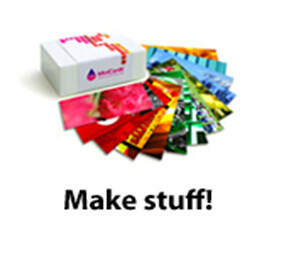 Moreover it offers an opportunity to sell and promote your creations online. So go ahead and explore the endless boundaries of online sharing, surely you can gain a lot of experience and improve your social status. From a single profile, you can share things such as your thoughts, stories, artwork, photos, music, kid’s videos, flash files, presentations with business colleagues, party or vacation photos with friends, web research and tidbits you find on the web. On the other hand, you can check out files regarding anything uploaded by other members and place comments. What’s more interesting is this that ESnips is free from malware or spyware. No more bugs to worry about anymore! What you’re uploading and downloading is in safe hands. ESnips is a free service, one of the main features a person looks for in online sharing services. It just requires a simple and quick registration procedure. 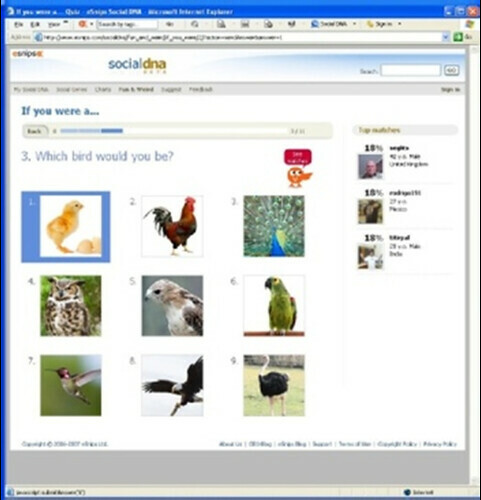 ESnips also helps in linking up with a social site or forum based on your interests and hobbies. This all helps in creating a community around you and your content. Communities are constituted of micro portals and these in turn assemble all the contents and profiles that are part of a sub-community. 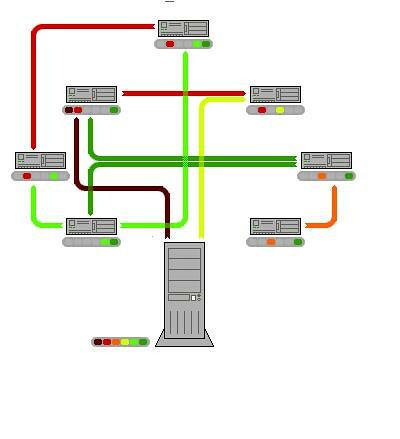 ESnips Micro Portals offer a centralized outlook into all characteristics of a community no matter what size or type they are. This includes the latest, most popular and favorite files and folders, access to members, a forum to discuss community affairs, and community-only areas that list unique tags, news and activities. Any Micro Portal can be formed around a group of people who use the same tags (categories) to express the content they publish. In order to be part of the community, you must tag your files or folders with community keywords. Other added features of ESnips include the ability to share an extensive number of music files with rich music player and playlist functionality for genre-specific social sites. It means that musicians can get a one-stop solution to host and share their music, use an extensive selection of music widgets to promote their music on other sites, and get constantly updated with peers’ latest and greatest music through a variety of categorized music portals. Upload and share anything that your little heart desires. Then there is the ESnips ‘Social DNA’ application, a service which connects like-minded people by matching their digital genes. Bet you didn't even know you even had digital genes eh? It’s basically the process of familiarizing people with others who resemble them most based on thousands of defined aspects of their lives) and identifying through common friends or tags. Besides sharing files, ESnips also supports ecommerce transactions. You can use ESnips to share your creative work, in any file format, and can sell these items using paypal. Marketplace features on ESnips allows users to post any item for sale, including original songs, videos, digital and traditional art, and more. Similarly ESnips also offers Social Bookmarking by which you can share anything that you like on the web with anyone who wants to check it out by bookmarking it. So in one centralized location, you can share content, sell it, connect with others with similar interests and use it as a promotional tool in ways that is easy and more viral than other sites. Scribd allows users in finding interesting documents by category, topic, group, searching, or by just browsing Scribd’s library. It basically a free, web-based, document sharing community and self-publishing platform that allows anyone to easily publish, distribute, share, and discover original documents of all kinds: E-books, presentations, essays, academic papers, newsletters, online journals etc. Once registered and upon creation of a profile, it provides a code for embedding. You can upload any type of document formats including MS Word, PowerPoint, Excel, Open Office, PDF, Rich Text Files, HTML and much more. Opening an account at Scribd is quick, easy and of course free. Choose a user name, password, and provide a valid email address. That’s it! You are well on your way. There are all sorts of other features that make it easy and fun to publish, convert, embed, analyze, and read documents. And because you get unlimited storage, you can manage all your documents online. You have full control on your Scribd documents once they are published. You can edit them, delete them, share them on other websites via embedded code, social book mark them or download directly to your computer. and fonts and makes no changes to its contents. There are two levels of access for Scribd documents: "public" and "private. "Private tagged documents are immediately hidden from the search index. You can receive feedback and also have full document copyright by making your documents available under creative commons license. All public documents uploaded to Scribd are catalogued by Google, Yahoo!, and other major search engines. This can help in promoting and publicizing your work at a large scale by providing better readership. One of the most fascinating features of Scribd is the traffic analytics feature. You can get a general idea where traffic is coming from to any document uploaded on Scribd. Traffic Analytics let you keep track of the views each document gets. 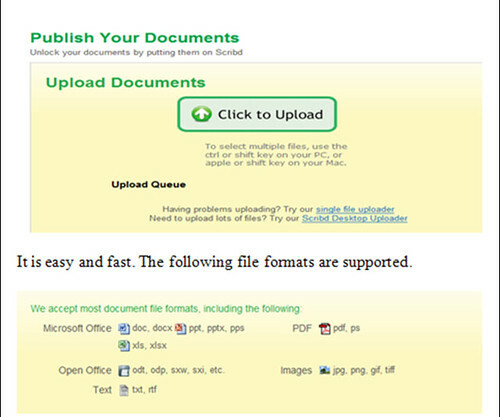 By studying traffic that has been generated to your own document, you can overview on your uploaded documents. You can see how many views it had, when it was published and even if people favored the document or not. Since Scribd is an online community you can also communicate with each other via a messaging system, build groups of like-minded people and rate. The search engines and websites like Stumble Upon love Scribd. Don’t just think traffic to your documents will only come from within the Scribd community. There are hundreds of thousands of people coming to Scribd directly from the search engines other Web 2.0 sites and well known authority websites. If your documents are optimized correctly, they will get indexed in the search engines very quickly. Scribd runs on the technique of viral marketing (The spreading of a marketing product like a virus), helping you to expand your domain and fetch clients. It means you can use the power of Scribd boldly for the purpose of self promotion. Positive comments and testimonials can prove to be extremely valuable, as they illustrate to others that you are a trustworthy business entity with valuable products and services. Besides its human nature to utilize every possible advantage you can to make your participation in such a social website pay bonuses. Electrical Engineers in the world of Online Sharing and Publishing! Online sharing and publications can prove a safe haven for electrical engineers in many ways. They can harness these sites for purposes their benefits, and enhance their technical capabilities by socializing with other engineers around the globe. They can share new skills, performances, gadgets, technologies and much more stuff. Taking your own self as an electrical engineer, you can get acquainted with outstanding expertise; get updated with conferences and seminars being held in different parts of the world (or your own home country) and even track down new discoveries and inventions in the field of electronics. A typical sharing website catering to such purposes is Zumbeel, a Pakistani-based professional networking portal where all the telecom professionals and students gather to share ideas, learn new things, discuss technical and non- technical issues and shape up the future of telecom industry. Basically it is a hub targeted towards such engineers who are telecom fanatics and have true essence and grasp over the field. It’s also a telecom career e-tool where job seekers are also trained and molded into better telecom professionals. To prove this, Zumbeel offers career management services, forums and discussion boards, blogs, polls and interviews. Telecom news is another feature available on this portal. They have also recently added chat widgets and e-learning database on the portal. [E-learning is a type of technology supported learning (TSL) where the medium of instruction is computer technology]. Zumbeel forums are pretty versatile. You can end up with a myriad of topics ranging from ‘Transmission and Data Networks’ to ‘Telecom Management’ and ‘University Life’. Being an active participant of these forums can not only enhance your knowledge and future prospects but also ensure your contribution in the future of the telecom world. Zumbeel also has an online digital library containing informative journals and an ever growing database of the entire telecom world. This can help you get around the mysteries and enigmas of telecom technologies and the industry as a whole. You can review the comments of other Zumbeelians about the web links, telecom books, and universities, and help yourself in making sound and informed decisions on the subject. Zumbeel encourages the sharing of relevant documents, presentations, articles, research papers, web links, and university and books to review. 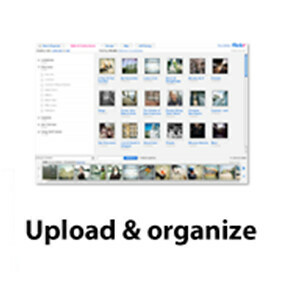 It also provides a base for video and photo sharing, having a separate Photo gallery where you can upload your photos. What’s more convenient about using this service is that your blogs and other stuff can be shared on the social web by a single click on the options provided where your blog’s front page appears. Whether it’s Facebook, Delicious, MySpace or Flickr, Magnolia, you can promote sharing to any social networking website via Zumbeel, which acts as the central hub. The list goes on and after selecting the websites where your profile exists; you simply click on the Post tab for the job to get done. Thus the prime objective of Zumbeel is to bring the IT and Telecom professionals under one umbrella and provide them quality networking, mentoring and coaching opportunities. It not only has local clients (members) but also has members from over 45 countries across 6 continents. There are several other services tuned to the welfare of electrical engineers. Engineering Information.org (Ei.org) is one such service which provides online information, knowledge and support to engineering researchers. It offers information research tools specifically focused on the content and intelligence that engineering researchers need to stay informed of. Engineers learn to manage and share research amongst each other. You can benefit from open communication and the ability to exploit the knowledge and expertise of your peers. Engineering Information caters an extended feature known as Elsevier Engineering Village. This is a search platform providing several new databases, effective searching and results management, including saving searches, setting up email and RSS alerts, creating groups, tagging records, and more. Thus its foremost goal is to provide engineering researchers with answers and insight through targeted search capabilities, authoritative content, and tools for managing and sharing research. Cambridge Online Journals also serve to provide a common platform for all kinds of engineers (including electrical engineers). You can get access to different publications and articles. All you need to do is create an account. There is a wide range of journal catalogues and digital archives where you can find exciting educational subjects, like ‘The International Journal of Microwave and Wireless Technologies' which has the major objective to enhance the communication between microwave engineers throughout the world, and ‘Artificial Intelligence for Engineering Design, Analysis and Manufacturing’ which publishes original articles about significant AI theory and applications based on the most up-to-date research in all branches and phases of engineering. In this way we, as electrical engineers, can broaden our horizons by reaching out to these services and benefiting from them within the bounds of our field as well as promoting social networking. You can explore the vast opportunities for new ways to collaborate through Web 2.0 for which the possibilities for sharing are endless. Where can we apply online sharing and Publishing services? Online sharing services can assist in spreading social media by integrating technology, telecommunications and social interaction, and the construction of words, pictures, videos and audio. Social media can take many different forms. 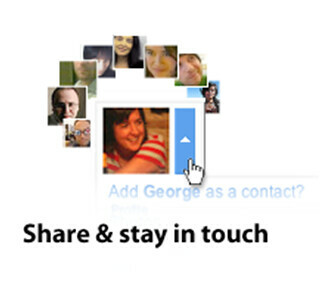 Thus we can apply online sharing in many contexts. Bit torrent works on a simple principle and the users have to apply an analytical approach when they share files through it. Before downloading a torrent and the file associated with it, you have to deal with two basic provisions, seeds and peers. A peer first creates a small file called a ‘torrent’. This file actually contains the instructions of the tracker, through which the file is distributed A seed on the other hand is a collection of the entire file. One seed is needed to begin spreading files between many users (peers). The addition of more seeds increases the likelihood of a successful sharing bandwidth. In this way the application is brought about to effect. Each peer who downloads the data also uploads it to other peers, even after they have dismounted the original seed. This ensures that the seeds do not finish too quickly and the downloading stream from that seed could be maintained. There is another term called Leechers. They are the peers who exploit the seeds and use them up. The more the number of seeds and lesser the number of leechers, the more healthy is the torrent file (means it can be downloaded faster). There are also some torrents which are password protected and require a password for their download. You can download a range of files through this application including movies, videos, songs, software, books, articles, pictures and much more. BitTorrent clients, such as µtorrent, are able to process web feeds and automatically download content found within them. Then there are the Personal Wedding Websites, offering a relatively new practice in which engaged couples make the use of a website to aid in planning and communication for their wedding. Such websites are used for a variety of purposes including communication with guests, sharing wedding photos and videos with those who failed to attend the function, providing maps, hotel and destination information, bridal party and couple biographies, seating plan of the wedding and wedding rehearsal schedules etc. These sites are progressively being used as tools for wedding planning. Sharing and publishing services can be used in ways that are hard to imagine and this can be demonstrated with a local example. RISE-PAK (Relief and Information Systems for Earthquakes Pakistan) is an information-sharing web portal developed and maintained by a group of experts from Pakistan and America. World Online, Pakistan's largest Internet Service Provider is hosting the website. It was created after the 2005 earthquake in Kashmir. The portal provides users with maps of about 4000 villages distorted by the quake. A database provides detailed disaster information; assistance received in rescue operations, and access routes to the villages in the area. It also provides pre-earthquake information showing village-level infrastructure data, major road networks, and the distance of every village from the epicenter of the earthquake. The Pakistani government, army relief operations, donors, and NGOs can add or update information to this database through text messages, faxes, emails, or phone so as to organize the massive relief efforts by numerous organizations working in the area. We can also apply online publishing services in Online Magazines and Online Newspapers. Online Advertizing on the other hand (like EBay and Amazon) helps in promoting products and selling them at high bids. Such sites help in creating marketing traffic by using rich media ads. You can even apply for banner ads or online classified advertisements. Online video directories for brands are a good example of interactive advertising which can help in fetching prime clients for the product. This all collectively enhances profit-making capabilities of the seller. There is no dearth to other online sharing or publishing websites and services:In the arena of social networking and sharing, we have popular Photo sharing websites such as Flickr, Snapfish, Whoophi and Fotki. Flickr is certainly the best online photo management and sharing application. You can also upload videos, organize and make maps of where your photos or videos were taken so as to know the location of the incident snapped near you. It has a blog where you can place comments and reviews regarding photos of other people, description of photos depicting events etc. Similarly, Whoophy is more of an online community apart from providing photo sharing services. It offers a monthly photo competition with an end of the year big finale. It also has an active forum where photographers discuss their photos in a critical way. Fotki is basically a media social network website. The service also offers unlimited storage space, blogging, online printing and selling of prints at custom prices, as well as email and co-branding. The ultimate video sharing website is YouTube where you can upload, view and share video clips. You can even download movie clips and music videos. It also displays a wide variety of video blogging. Twango is another such online sharing sites involved in music and video sharing. It is an online media sharing service supporting multiple file types (photos, videos, audio and documents). You can organize your media in containers known as channels. Twango Mobile provides an XHTML web site for people with compatible mobile browsers. Moving further, Slideshare is an interesting service which provides sharing of slides and related animations for the purpose of including them in PowerPoint presentations. Presentations can be made better and more interesting since this site provides a wide variety of slides on different topics and guidance on new presentation techniques and features. Some good online publishing services (apart from Scibd) include Lulu and Igizmo. Lulu offers a variety of publishing and printing services with its special online order fulfillment. Authors who publish works through Lulu retain the copyrights to such works. Optional services offered by the company include ISBN assignment, and distribution of books to retailers asking for particular titles. Igizmo on the other hand is an online consumer technology magazine and website. It covers gadgets, mobile phones, home and personal entertainment, and gaming accessories along with general technology trends. 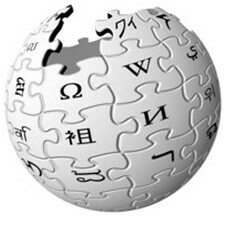 Even the popularly known Wikipedia.org comes under the category of an online publishing organization carrying with itself hoards of articles, biographies, definitions, references, publications and links to other websites. It represents a sort of Information Guru, enabling you to hunt into any type of information. What’s more striking is the fact that Google has launched its own Online-Publishing Service, a potential Wikipedia rival. The name of the service is Knol which allows users to write articles on specific topics and to make money from them. Other Such sharing sites include Rapidshare, Furl, Magnolia, Digg, Reddit and Delicious. In a nutshell, online communities have the potential to be an invaluable resource for nonprofits, for teaching and learning, sharing information and promoting their cause, and connecting with other nonprofits that pursue a compatible mission. This all helps in achieving a lot through such services. Troubles of Online Sharing and Publishing! Sharing and Publishing portals can sometimes prove to be menacing in certain. There are many chances that users are bound to come across misinformation or data that has been tampered with, reducing its integrity prospects and marking it a fluke in the social media. Some people perform a hoax by uploading media that hasn’t been released in the market yet. I myself have experienced such incidences when coming across videos of YouTube, or when downloading torrents. People can even hack into your accounts and invade privacy by exposing personal photos, videos and documents. Even in the case of publishing it is considered a cyber crime to release someone else’s authorized and copyrighted publication prior to the publishers’ permission. This is exactly what happened in July 2007, when the soft copy of J.K.Rowlings’ famous fiction novel, “Harry Potter and the Deathly Hallows” was found to be shared by people online before the book even reached the markets in hard copy. The book was supposed to be launched on 20th of July; however people started getting their hands on it from the 17th of the month. Since it was going to be the finale of Rowlings’ globally admired and thrilling series, people even released hoax publications online. There are also chances for e-mail spam to be received which generally portray fake online advertisements, behind which there may be a single person performing a ‘one man show’ and spreading malware to the victim, or it may be an illegitimate website trying to conquer your transactions through your credit cards and stuff. To avoid such mischief, it is better to ignore such advertisements and counter share with others so that they get warned too. Of course you cannot halt the process of online sharing, since it has become a technological entity and without it people cannot share their ideas, expertise and information. It is one of the exalted applications of Information and Communication Technology (ICT), and without it the world cannot advance forwards in various fields. So the solution to all of the problems can be summarized in this way that you need to be ethically strong while publishing data on the internet in order to get positive comments and reviews, and increase your data reliability. Moreover, you need to attain copyrights for your work so that a third-party organization or individual abstains from taking the risk in copying your work and labeling it as his or her achievement/publication. There are so many services out there, all of which are a social bundle and all have something to do with sharing and passions. You can‚ stop hearing about video and photo sharing for example, so new services start to blend together. It just feels like turning on the light in a dark room full of people that were sitting right next to the other but were not aware of each other’s existence and presence until a tagging system was put in place.